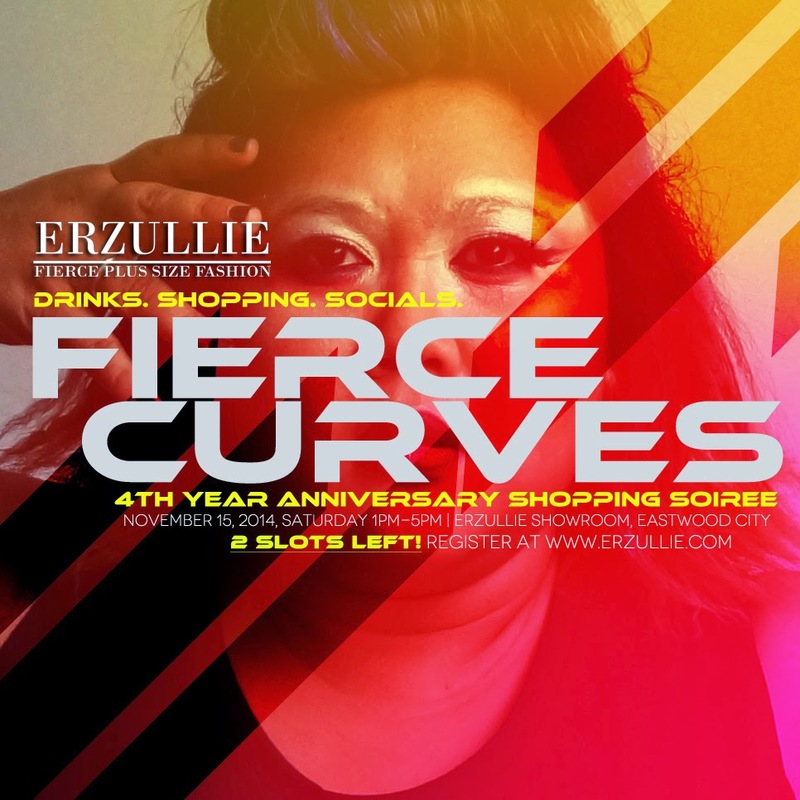 Be part of the unveiling of the new Erzullie Showroom in Eastwood City — bigger space, fiercer plus size fashion and definitely sassier socials! Light drinks will be served as you also get to preview and shop the Corporate 2015 collection. 05 Nov	This entry was published on November 5, 2014 at 7:07 AM. It’s filed under Plus Size Fashion and tagged ERZULLIE, PHILIPPINES, PLUS SIZE, PLUS SIZE EVENT, PLUS SIZE FASHION. Bookmark the permalink. Follow any comments here with the RSS feed for this post. Older: PLUS SIZE EVENT: ERZULLIE’S ONLINE PLUS SIZE FASHION DASH TOMORROW!